SpaceX’s robotic Dragon cargo ship splashed down in the Pacific Ocean tonight, bringing science experiments and used hardware from the International Space Station back to Earth after dark. The Dragon delivered nearly 3 tons of food, supplies and experiments to the stationon Dec. 8, and it took more than four weeks to unload the cargo and reload the Dragon with payloads for the return trip. NASA delayed the Dragon’s descent by several days due to concerns about weather in the recovery area. 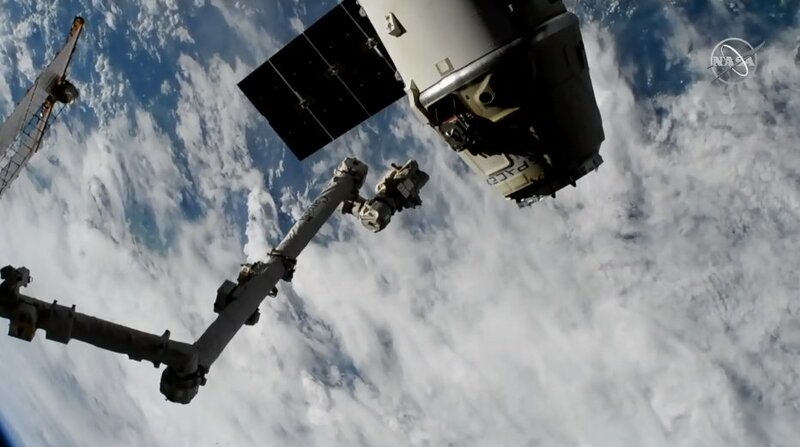 The station’s robotic arm released the Dragon at 3:33 p.m. PT, and the craft parachuted to its splashdown just before 9:15 p.m. SpaceX’s recovery ship headed to the scene to pull the Dragon out of the sea and bring it back to port in California. This entry was posted in GeekWire and tagged Dragon, International Space Station, Space, SpaceX. Bookmark the permalink.